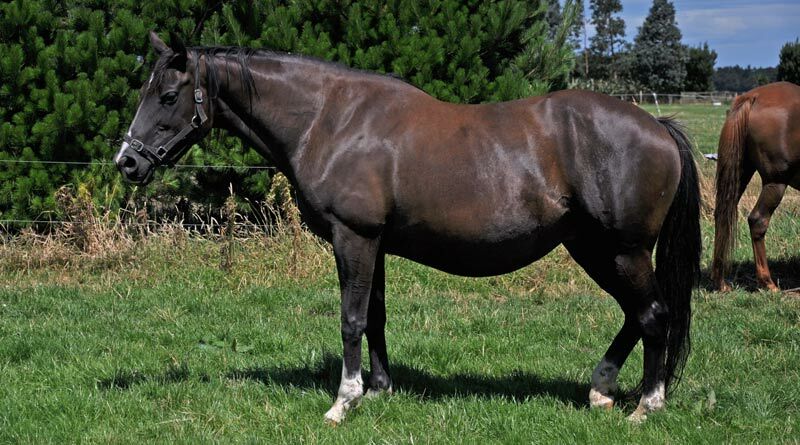 Does pregnancy make a horse more prone to lameness? “Any horse can become lame while pregnant, but pregnancy does not make lameness more likely as a single factor,” says Dr Sarah Sampson, a Washington State University clinical instructor of equine surgery and orthopaedic sports medicine. “They can step on a nail, cut themselves, or become injured in the pasture just like any other horse. Such problems can become aggravated as the mare gains weight throughout her pregnancy, usually up to 90 kilograms of extra weight at full term from the foal, placenta, and gestational fluids. “The weight gain mares experience through pregnancy makes it harder on their joints, tendons, and ligaments, and it can become harder for owners to manage any preexisting condition,” Dr Sampson says. It is always best to have a breeding soundness evaluation done before mares are bred regardless of their past medical history, she says. This should include a reproductive tract examination to make sure she is healthy enough to sustain a pregnancy and a physical and lameness examination to make sure the mare is in good shape systemically and orthopaedically. A veterinarian can recommend a management plan and proper medication if needed. If a mare is not sound enough to carry a foal throughout pregnancy, embryo transfer can be an option for some breeds. Embryo transfer is a procedure in which the fertilised egg of the desired mare is implanted in another healthy mare’s uterus to carry to term. This can also be an option for owners who would like a foal, but also want to keep their mares in competition. “There is no reason to keep a pregnant mare from competition or pleasure riding in the first half of pregnancy if she is used to those activities and is healthy,” Dr Sampson says. First published on Horsetalk.co.nz in March 2009, courtesy Washington State University College of Veterinary Medicine.